For the 8th consecutive year, EC-Council and IT-Gnosis sponsored the “la Nuit du Hack” event in Paris, with the latest edition taking place July 2nd- 3rd, 2016. 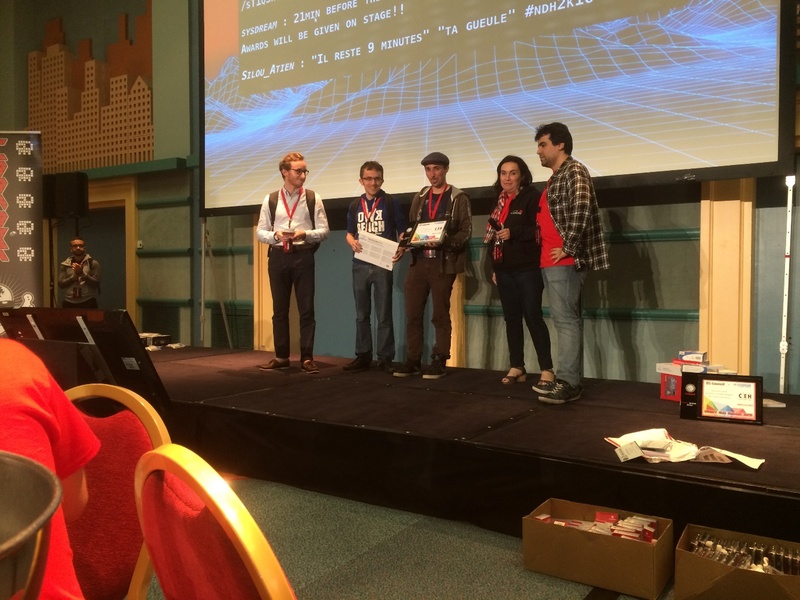 Held in Disneyland Paris’ New York themed hotel and convention center, “la Nuit du Hack” hosted more than 1,800 attendees across an interesting program, covering information security talks, challenges, and workshops. This event marks one of the most exciting and recognized information security events in France, and is regularly attended by cybersecurity professionals annually. The keynote for the event was none other than Louis Pouzin, the inventor of the datagram (connectionless communication) and is known as one of the founding fathers of the early internet. The signature event of “la Nuit du Hack” comprises the well-known public Wargame, which was sponsored by EC-Council and IT-Gnosis (official representative of EC-Council). The Wargame consisted of achieving several challenges of different difficulties, including: cryptography, steganography, social engineering, forensics, and other challenges. The Wargame organizers even added a web challenge on the very popular show Mr. Robot. This began at 8.00pm and ended in the morning at 6.00am. 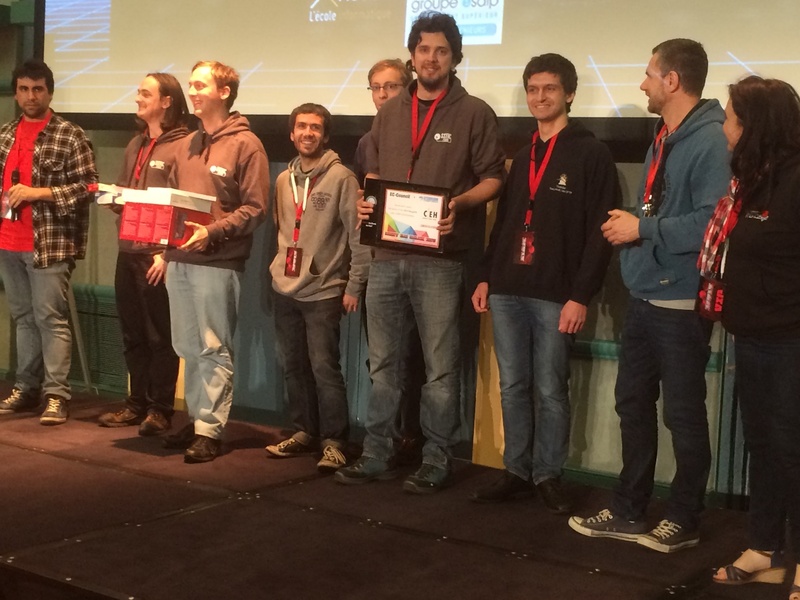 To conclude this intensive Wargame, the global ranking gave us 3 winners: h4ck3s – 0x90r00t – Hexpresso. Congratulations to them! EC-Council and IT-Gnosis presented the winners with scholarships to EC-Council’s renowned CEH training, in collaboration with their ATC Sysdream. 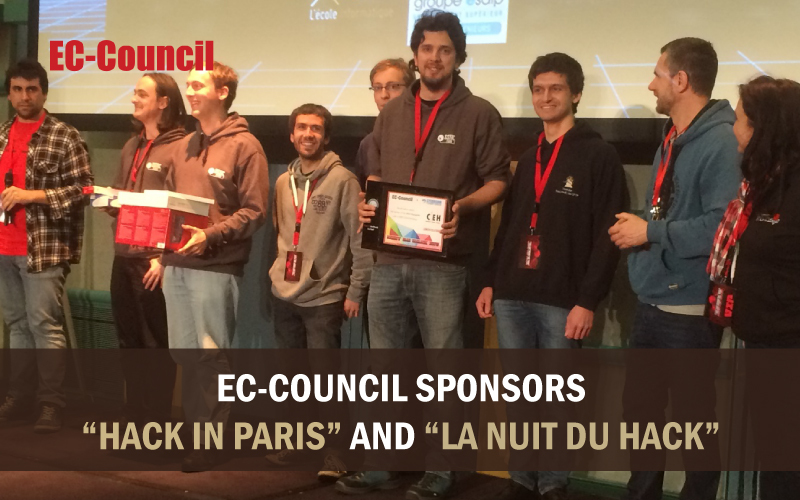 “EC-Council is highly supportive of the ‘la Nuit du Hack’ event, as it provides an excellent platform and opportunity for ethical hackers and information security professionals to learn, collaborate, and network. We look forward to participating in such events in the future.” says EC-Council’s Chief Operating Officer, Sean Lim. Can you introduce yourself, and tell us why you came to ‘la Nuit du Hack’? I’m participating again this year since I came to the last editions, and it’s always a fun moment. Why did you participate in the Wargame? What did you learn from it? You just received a free CEH training, what’s your immediate reaction? Do you know this training? Yes, I know it. I’m very glad to receive it. I was trying to convince my company to fund it to me, I won’t have to do it anymore now. Can you introduce yourself and tell us why you came to ‘la Nuit du Hack ‘? At first, it was to meet IRL the people I have met online during similar events over the past year. We all met whilst participating in challenges like this one and never had the opportunity to physically meet. First the ‘Nuit du Hack’ represents a big event, but also, on the human side, we finally can put a face on a pseudonym, these people who we worked with and made progress together during the year. First we had fun! This is also the time to try some challenges, and to see our level compared to the people with the same passions. Yes, the challenge was for the weak who didn’t manage to qualify for the private CTF, we took a slap during the qualifications, so we can pretty well say we did well at the lower level. Your reward is a free CEH training, what’s your immediate reaction? That’s great! This is a good certification which is well recognized, so it will be important in a while when we are looking for jobs. Then do you think this certification will be useful in your career? Yes, there are not so many well recognized certifications today, and the CEH is one of them. Having it is very interesting! Can you introduce yourself and tell us why you came to ‘la Nuit du Hack’? We came as the « Hexpresso » team, we came again like every year. Our goal is to have fun and this year we got lucky; we ranked well and we are excited about it. It’s always fun to come to ‘la Nuit du Hack’, and again this year! The purpose of the Wargame is also to face challenges and tests which are different from what we can see whilst working. What I will retain is that we always have to make progress, we always have things on which we can work. A nice reward, too bad that we only have one for five people, we are going to have some trouble to split it, maybe we’ll fight (laughs). It’s is almost a too nice reward for a 5-10 people team. Honestly? Yes, I think that’s a plus on the CV!